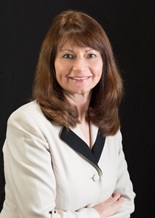 Linda has been the LPL Financial Operations Manager since 2004 and holds a NYS Notary Public license. She assists Frank, Bruce, Rob and Peter in all the daily administration duties and responsibilities. Prior to joining LPL she was employed at the Internal Revenue Service. In her spare time she enjoys traveling, cycling, gardening, cooking and spending time with her two children.